Landry Shamet hit eight three-pointers Tuesday night. 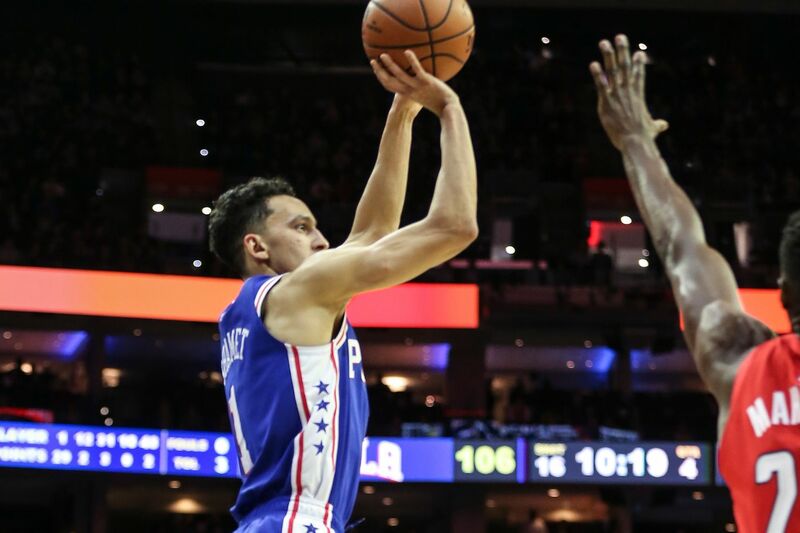 Keith Pompey talks about Landry Shamet’s performance in Tuesday night’s 132-115 victory over the Washington Wizards at the Wells Fargo Center in his latest Locked on Sixers podcast. He discloses the five Eastern Conference players he’ll pick as NBA All-Star Game starters, and discusses Ben Simmons chances to make the game. Then Pompey concludes the podcast by saying Markelle Fultz is becoming more of an afterthought the longer he remains away from the team.